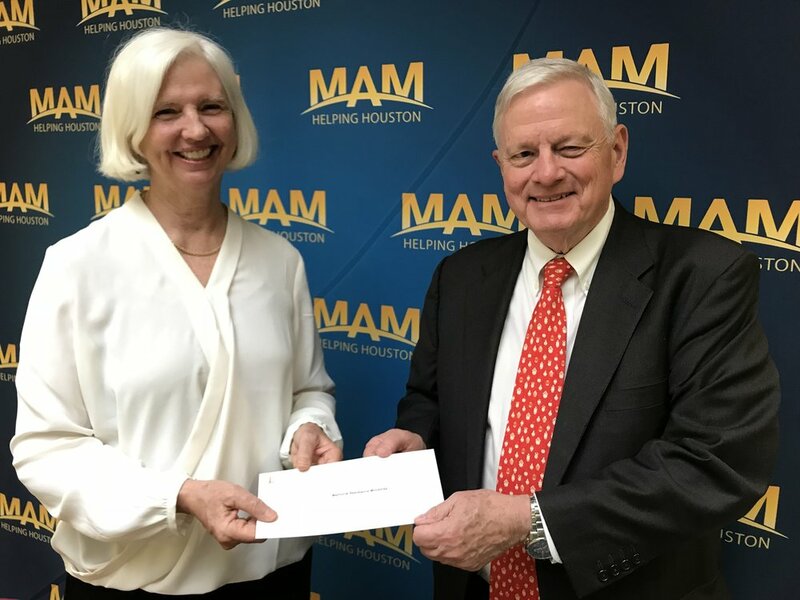 JASH's Japan Stands With Houston Harvey Relief Fund contributed $35,000 to Memorial Assistance Ministries (MAM) in support of initiatives offering families in our community a new start after Hurricane Harvey. MAM's mission is to help ensure those in need have the means to meet their basic needs by offering programs that enable long-term financial self-sufficiency, assist families in avoiding homelessness, and assure children receive an improved school experience. We are grateful to those who helped make possible this gift in support of Harvey recovery efforts.